Starr Hills in Southport, Lancashire, became MHA’s first care home to gain outstanding for the second time, while Briar Hill House in Rugeley, Staffordshire, was upgraded to outstanding from ‘good’. Inspectors told Starr Hills, a 36-place residential home, that its culture “continued to be extremely caring, compassionate, respectful and empowering which reflected the values of the service. There was a strong recognition that people were treated as individuals. All people who lived at the home and relatives spoke highly of the caring attitude of staff”. 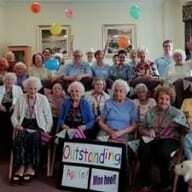 The post MHA celebrates ‘outstanding’ double appeared first on Care Home Professional.